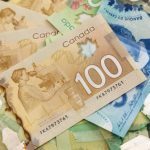 When Ontario banned mandatory retirement in 2006 with amendments to the province’s Human Rights Code, the move was hailed as a major advancement in the drive to eliminate age-based workplace discrimination. It followed the lead of other provinces that had already banned the practice, and represented a sea change in workplace relations. 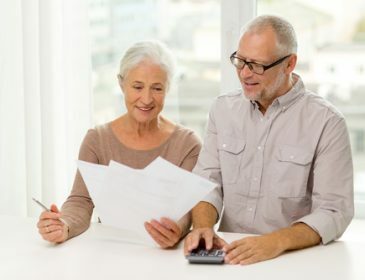 Until court cases and legislative changes made it possible for Canadians to work well into their golden years, forced mandatory retirement was a common practice across the country. There are still exceptions, of course. Some judges, airline pilots and firefighters may face mandatory retirement given the nature and demands of their positions, but on the whole, Canadians can now work as long as they choose, so long as their services are in demand and their employers require those services. But it was the May decision by the Human Rights Tribunal of Ontario in Talos v. Grand Erie District School Board found that the provision of Ontario’s Human Rights Code that had allowed employers to cut or reduce benefits to workers aged 65 and over was unconstitutional. We see this reality playing out in workplaces across the province on a regular basis. Some Ontarians are working past the historical retirement age out of necessity, while others are choosing to remain in their jobs—or retiring and returning to the workforce as consultants—because their knowledge and skills are in high demand due to low unemployment and the need for expertise and experience in key industries such as the technology sector. This can create other challenges for employers, such as finding ways to foster cross-generational collaboration and engagement. Then there’s the conundrum of providing a career progression roadmap for younger workers—especially advancement-focused Millennials—just as Baby Boomers increasingly clog their organization’s senior ranks. While this will remain an ongoing challenge for employers until the Baby Boomer generation gradually phases out of the workplace altogether, the HRTO decision will have an immediate human resources impact on organizations of all sizes and across industries: ensuring legislative compliance by revising everything from their workplace policies to their health and life insurance benefit plans if they offer no, or limited benefits, to employers age 65 and older. That said, those plans can still be modified based on employee preferences. Older employees may prefer enhanced life insurance benefits, for example, whereas their younger colleagues might instead favour enhanced paramedical such as massage or physiotherapy coverage. Employers can be creative in their package offerings, so long as they don’t discriminate against older workers by providing demonstrably less coverage when compared to plans offered to their younger employees. HR professionals should, in fact, view this ruling as an opportunity both to update policies and procedures, and to educate their workforces on the importance of preventing any forms of discrimination as prohibited under Ontario’s Human Rights Code—with a particular focus on age-based discrimination. It’s also a chance to highlight the value that employees of all ages can deliver to your organization. At a time when top talent is becoming increasingly difficult to attract, retain and engage, older employees can offer the kind of differing perspectives and technical expertise that junior staffers can’t always provide. And let’s not fool ourselves: some of those highly-coveted top performers are now in their golden years. Attracting them with a robust benefits package is just another tool in your kit to build a highly-competitive team that can drive the increased productivity, innovation and creativity needed to produce strong bottom-line results. In this sense—and while it will create short-term challenges for HR teams across the province— the OHRT’s ruling will likely deliver major benefits to Ontario employers in the years ahead.